The news item below on the Post-Employment Benefits Task Force report is more extensive than most. It does, however, omit discussion of the $2-for-$1 problem, i.e., the fact that roughly two dollars out of three collected for the pension come from non-state sources and cannot be collected retroactively. A tidal wave of unfunded retirement obligations that could top $40 billion in four years is washing over the University of California, forcing employees to pay far more for those benefits and threatening students with the possibility of more tuition hikes and years of austerity. Now a UC task force has released a set of recommendations, to be evaluated throughout the fall, intended to help the university gain control over its vast retirement problem over the next 30 years. At the same time, employees who cut the grass, serve the food and perform other essential but low-paying jobs throughout the university system say the new proposals will ensure only that UC's rich get richer, and its poor get poorer. They point out that the proposals would let thousands of highly paid employees keep their current retirement benefits while slashing their own. "Social Security is a legitimate and predictable form of income, so it seems not unreasonable to count that," said UC Provost Lawrence Pitts, chairman of the task force, created in 2009. Pitts also said that in exchange for retaining benefits, highly paid employees would eventually contribute more to the pension fund - up to 7.7 percent of their paycheck - than low-wage workers. This would happen after 2013, if the regents approve the recommendations. 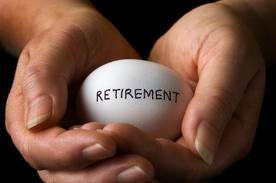 Most employees pay 2 percent of their salary toward retirement. The UC regents are expected to approve an interim increase for all employees at their meeting in San Francisco next week. It would raise the employee contribution to 3.5 percent beginning in July 2011, and to 5 percent in July 2012. But the regents won't consider the full range of recommendations from the task force until November, after UC President Mark Yudof distills them into a single plan. Meanwhile, union members and faculty alike object to what they consider a sweet retirement deal being proposed for the highest paid UC employees. It would let about 250 UC employees take their pension as a percentage of $360,000 instead of the federal limit of $245,000. … UC won a waiver of the federal salary cap from the IRS more than a year ago - about 10 years after the regents first asked for it, said Pitts, whose task force is recommending the expanded pension benefits.